Britney founded The Britney Spears Foundation, a charitable entity set up to help children in need. The philosophy behind the Foundation was that music and entertainment has a healing quality that can benefit children. 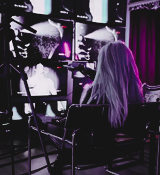 The Foundation also supported the annual Britney Spears Camp for the Performing Arts, where campers had the opportunity to explore and develop their talents. In April 2002, through the efforts of Spears and The Britney Spears Foundation, a grant of $1 million was made to the Twin Towers Fund to support the children of uniformed service heroes affected by the terrorist attacks of September 11, 2001, including New York City Fire Department and its Emergency Medical Services Command, the New York City Police Department, the Port Authority of New York and New Jersey, the New York State Office of court Administration and other government offices. However, it was reported in 2008 that the Foundation had a deficit of $200,000. After the singer went through conservatorship, her father and lawyer Andrew Wallet zeroed out the effort, leading to its closure in 2011. On October 30, 2001, Spears, alongside Bono and other popular recording artists under the name “Artists Against AIDS Worldwide”, released a single titled “What’s Going On”, with the intention to benefit AIDS programs in Africa and other impoverished regions. In the wake of Hurricane Katrina in 2006, Spears donated $350,000 to Music Rising. Later in 2011, the singer raised $200,000 during An Evening of Southern Style at a private residence in Beverly Hills to benefit the St. Bernard Project, with the help of several celebrities, including Hilary Duff, Selena Gomez, Kelly Osbourne, Kellan Lutz and Kim Kardashian. Spears has also helped several charities during her career, including Madonna’s Kabbalah-based Spirituality for Kids, cancer charity Gilda’s Club Worldwide, Promises Foundation, and United Way, with the latter two focused on giving families from various disadvantaged situations new hope and stable foundations for the future. 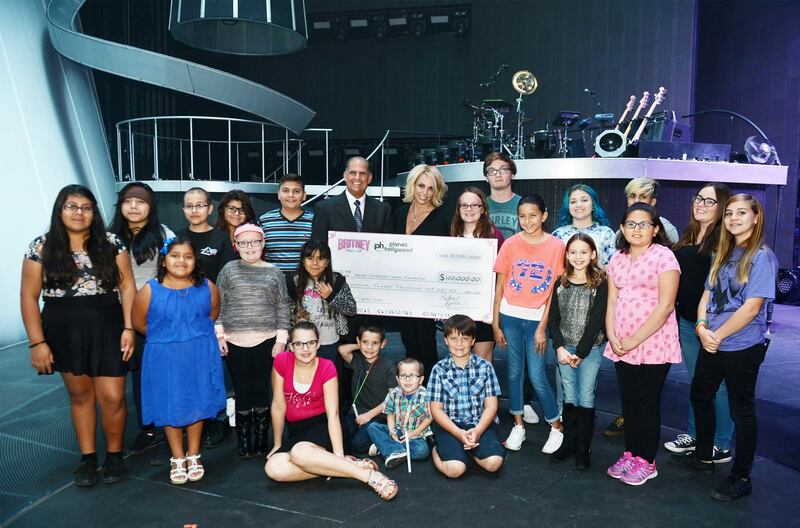 On October 24, 2015, Spears donated $120,000 to the Nevada Childhood Cancer Foundation. In addition, $1 of each ticket sale for her Las Vegas residency show, “Britney: Piece of Me”, was donated to the nonprofit organization. Spears also fundraised for the charity through social media, in addition to selling limited edition merchandise, with all proceeds going to the NCCF.